New research has once again raised the question of whether we should be turning the other cheek to one of nature’s most terrifying predators — the shark. In November, researchers reviewed one of the strangest shark species and found that they are far more susceptible to environmental change than previously thought. Now environmentalists are concerned. Walking sharks have long been thought to live across wide regions of shallow water, from Australia to the Seychelles in the Indian Ocean. However, researchers from Conservation International and the California Academy of Sciences found nine species of walking sharks with restricted ranges. Each species lived off relatively small areas. 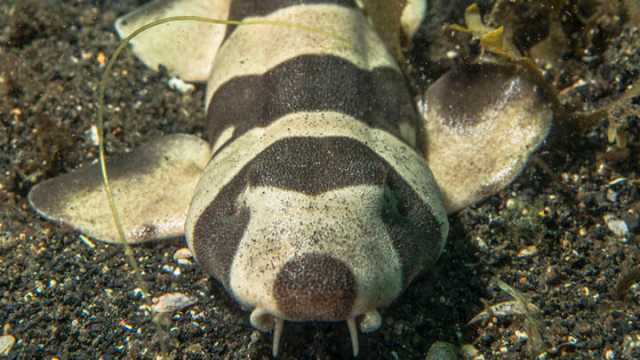 This revelation will inevitably have “huge conservation implications for the walking sharks,” said researcher Mark Erdmann. “Anytime that a marine species is only found in a relatively tiny area, it means it is significantly more vulnerable to extinction than wide-ranging species,” he told The Guardian newspaper. Walking sharks are far from the only sharks in a precarious position. An estimated one-third of oceanic sharks and rays are endangered, according to the International Union for Conservation of Nature’s Shark Specialist Group. 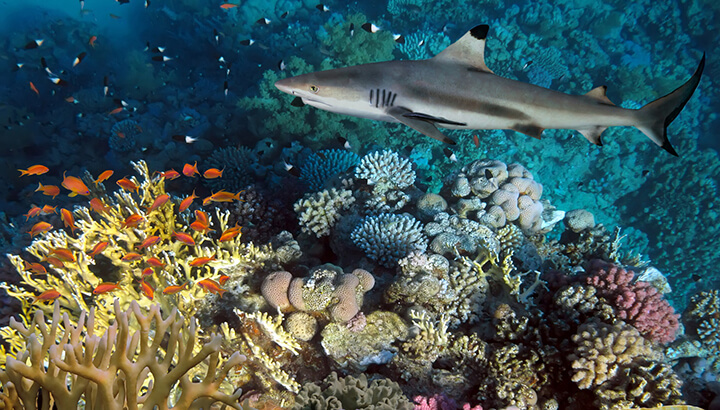 In some regions of the sea, like the Mediterranean, more than half of sharks are endangered, mostly due to human activity. Elsewhere, in the northwest Atlantic Ocean, shark populations have halved in the past 50 years. Many people would argue that sharks aren’t exactly the most lovable creatures. 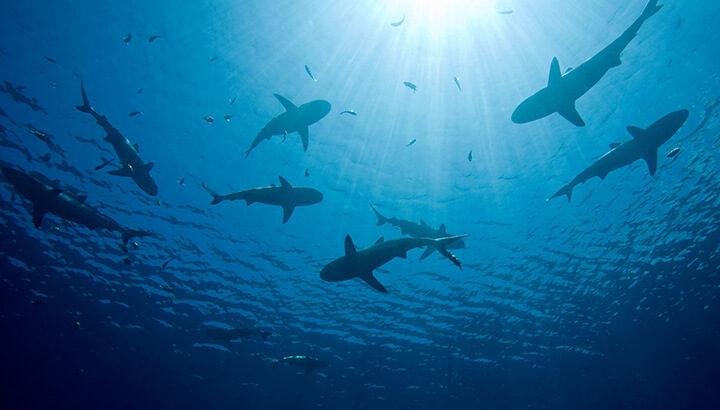 In 2015, the International Shark Attack File (ISAF) confirmed 98 cases of unprovoked shark attacks worldwide. This was the highest number recorded by the organization since 2000, though these attacks only resulted in six confirmed deaths across the globe. On top of that, generally speaking, shark-related deaths are actually on the decline. “The long-term trend in fatality rates has been one of constant reduction over the past 11 plus decades, reflective of advances in beach safety practices and medical treatment, and increased public awareness of avoiding potentially dangerous situations,” ISAF stated. The nine types of walking sharks analyzed by researchers are among 450 shark species that pose no risk to humans. Just a small number of larger predators account for the vast majority of attacks. For every human killed by sharks, as many as 10 million sharks are killed by humans, according to a 2013 Canadian study. Most of these deaths aren’t to protect swimmers or for food. Rather, the majority of sharks killed by humans are accidentally caught by large-scale commercial fisheries. On top of this, the carcasses are generally dumped back into the sea, as the value of shark meat has long been at rock bottom on international markets. Even knowing we’re doing more damage to sharks than they are to us, it can still be hard to care about these merciless predators. However, environmentalists say we’re better off with sharks than without them. According to a report by conservation group Oceana, many shark species play critical roles in ocean ecosystems. “Without apex predators, there is the potential for unchecked predation by other lower predatory species, overeating of vegetation by herbivorous prey species and increased competition that ultimately affects the species richness and abundance within the [eco]system,” the report explained. An example of this was uncovered by researchers in Hawaii back in 2007. They found that tiger sharks helped conserve seagrass by forcing fearful turtles to constantly move around the ocean. When the tiger shark population fell into decline, the turtles stopped moving around so much and settled in areas with the best seagrass. The end result was a total devastation of some of the best seagrass reserves around Hawaii. Seagrass isn’t the only thing being devastated by declining shark populations. In some towns, entire economies could die with the sharks. One study of the collapse of 11 shark species on the East Coast found that as the sharks died off, the population of cow noserays exploded. The massive ray population proceeded to gorge on their favorite food, scallops. Predictably, East Coast scallop fisheries saw their hauls plunge by 87 percent. North Carolina’s century-old scallop industry totally collapsed in 2004. In other words, when the sharks died, so did hundreds of jobs across the Eastern seaboard. That’s far from the only example of sharks sustaining fishing economies. Some Australian fishers suffered the same experience, according to a study by professor Gene Helfman.“When a shark fishery in Tasmania experienced a population collapse, octopus, which they had fed on, exploded. Octopi feed on spiny lobsters, so lobsters crashed and fishermen were put out of work,” Helfman found. The implications of these experiences from North Carolina to Tasmania are that sharks play crucial roles in the ocean ecosystem and our own economy. Losing sharks also means losing other ocean species, the jobs they create and the communities they sustain. However, sharks remain a controversial issue nonetheless and continue to cause human deaths every year. Even people who are lucky enough to survive attacks can spend years recovering. In some cases, people are disabled for life. So what do you think, are we better off living with or without the ocean’s most fearsome predator? Hey Buddy!, I found this information for you: "Should We Save The Sharks?". Here is the website link: https://www.thealternativedaily.com/should-we-save-the-sharks/. Thank you.